Embrace the quintessentially English tradition of Afternoon Tea at Park Grand London Kensington. With a selection of freshly made finger sandwiches, scones and a nice pot of tea from our range of assorted teas, you are sure to enjoy this mouth-watering experience. 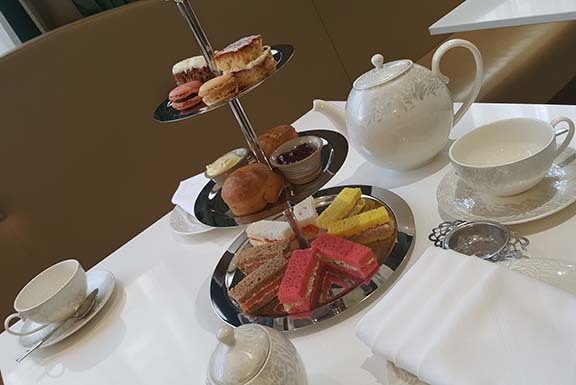 Served in the K Lounge, our traditional Afternoon tea includes a selection of freshly made finger sandwiches, scones, macaroons, mouth watering cake selection and, of course, a nice hot pot of tea from our range of assorted teas. Love chocolate? Treat yourself to a Chocolate Afternoon Tea and indulge your taste-buds for an experience to remember. 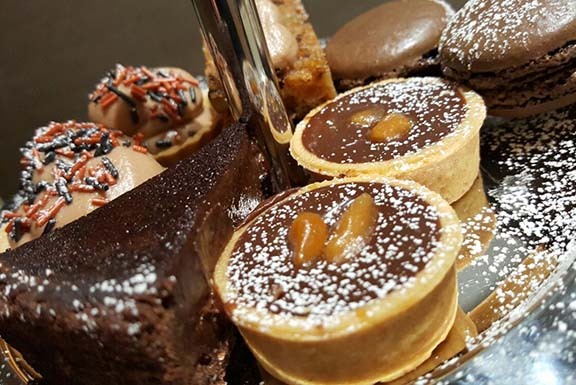 Served at the K Lounge, our Chocolate Afternoon Tea includes freshly made finger sandwiches, scones, macaroons, mouth watering cake selection and, of course, a nice hot pot of tea from our range of assorted teas. 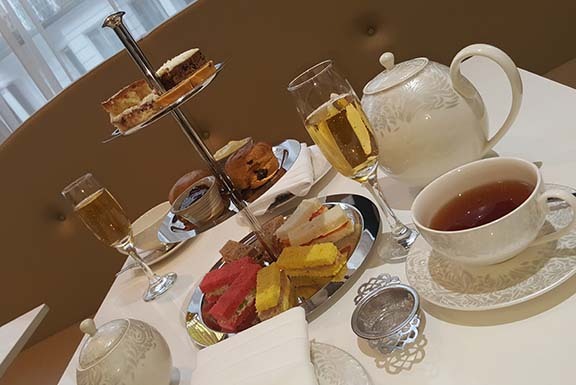 What could be more indulging than Afternoon Tea served with a chilled glass of champagne? This is a treat that every guest should pamper themselves with. Spice up your afternoon with a treat for the taste buds. Here's an afternoon tea with its sweet, savoury and piping hot indulgence, but with a difference. Take your senses on a journey across the Indian subcontinent, with flavours and textures from across the land. For the perfect finish, try some 'chai' a refreshing milky take on the perfect cup of tea.